Our experienced criminal defense attorneys will provide you with valuable insight, trade secrets, and effective trial strategies for dealing with every phase of your client's case. This seminar is intended to provide access to useful trial skills for all criminal defense attorneys of every experience level. 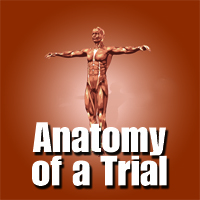 Let our speakers open your mind and expand your imagination about trial preparation, story-telling, and effective jury arguments.